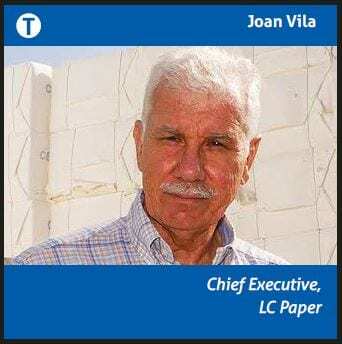 Spain’s LC Paper won Tissue World Milan’s prestigious Most Energy-Aware Mill Award. 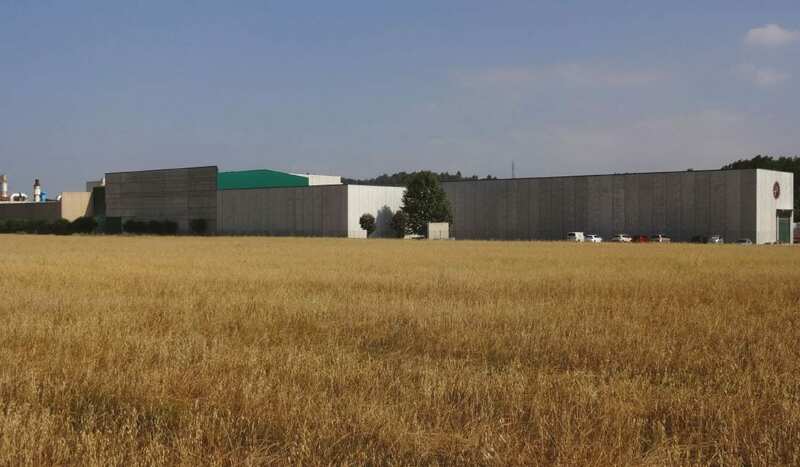 Here, chief executive Joan Vila talks through the development process which led the independent niche tissue producer to energy savings of up to 70% – and create a world-leading product. LC Paper has been continuously evolving its energy saving efforts since it was established in 1993. Initially, we were a cogeneration plant using a diesel engine that took advantage of the heat for the production of steam. In 1999, we took that a step further and developed it into a gas engine in order to produce steam. In 2009, we have been using the gases from this engine to directly dry the hood of our tissue machine, as well as using two steam boilers – at 17 bar and 1 bar – and each with its own corresponding economiser. The yield obtained was an increase of 85%, with a sequential advantage in series. The 400°C output gases from the cogeneration plant now come out at the end of the harvesting cycle at 105°C and the energy consumption in manufacturing decreased from 3,000 kWh/t to 2,100 kWh/t, with a 30% reduction in primary energy consumption. In addition, a new circuit with POM technology allowed us to manufacture with water consumption of 2.5 m3/t. In 2012, we took it a stage further and developed a new product called OnePly replacing two layers with a higher weight layer. This led to a substantial reduction in primary energy consumption of up to 1,700 kWh/t, an additional 19%. The tissue paper was sold in the form of jumbo rolls to a few customers. 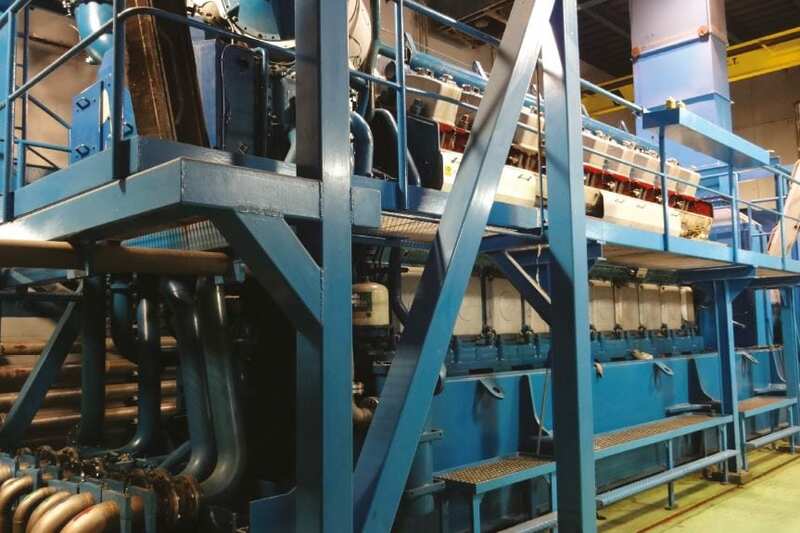 In 2014, PM2 was modified for the production of OnePly, maintaining the pick-up with two presses at 90 kN/m and 120 kN/m. We are now using a Steel Yankee with high thermal conductivity and a hood with the use of the gases of the second gas engine of the cogeneration plant – the result was a primary energy consumption of 1,100 kWh/t, an additional 35% saving. OnePly initially had difficulties penetrating the market with jumbo rolls because its embossing was not easy as it is an asymmetric product, and also because it finished with rolls of densities of more than 300 kg/m3. For our converting customers of jumbo rolls, it had serious cut difficulties. tissue paper for toilet paper and for autocut and centrefeed paper towel. Last year, we started testing our embossing technology on our new converting machine with successful results. We are now starting to work on its commercialisation. The technology developed led to the creation of a structured OnePly tissue with a high softness allowing us to decrease the grammage of the final product down to 26 g/m2 with toilet paper down to 32 g/m2 now easily competes with TAD and NTT products. A new toilet paper with OnePly technology has also been developed with high softness (79º TSA) and good absorption, containing 60m of paper with a roll of 115mm, achieving energy savings in transport of 50%. It allows us to create 8” autocut rolls with a length of 800ft, weighing 1.6kg and packaged in cartons of six rolls. This in turn allows savings of 45% in transport energy, which adds up to the long path of reducing our overall energy consumption. Our primary energy consumption in the manufacturing and transportation process has also evolved from the standard consumption of 3,387kWh/t of towel autocut paper to 1,229kWh/t – a difference of 64% in energy consumption. 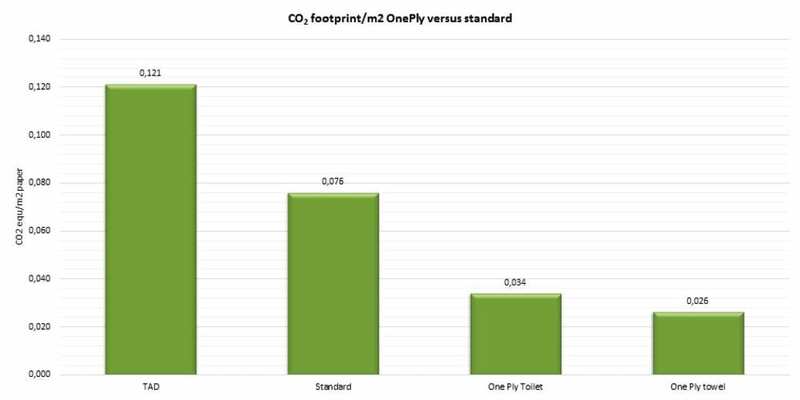 But if we look at the levels of energy by area, the specific energy for a conventional 2-ply toilet roll of 16gsm is 0,107 kWh/m2, while the specific energy for 26gsm is 0,032kWh/m2, so a difference of – 70%. The achieved energy efficiency has been realised at each energy level using the knowledge of conventional technology, modifying first the process to later adapt the product. Becoming more energy-efficient has made the company leaner and more productive. raw material purchasing power. To tackle this, we have chosen to follow a path to manufacture niche products and develop different technologies. We have developed a different type of product, with lower emissions and with better costs than conventional technology, TAD or NTT. The lowest costs in energy consumption allow us to export further and not suffer the high pressure of the local market. On the other hand, we believe that the new product will be well accepted throughout the American continent where there is a significant presence of TAD products, as well as in countries with markets sensitive to products with low emissions such as France, Germany, Holland, Belgium, the Scandinavian countries, New Zealand and Australia. Since 2012, we have had the Ecolabel certification. Additionally, we are FSC, PEFC, ISO 14001 environmentally certified, ISO 50001 energy certified and ISO 14.067 carbon footprint certified. We have also signed a voluntary agreement for the reduction of CO2 which has also been supported by the Spanish administration/government and a local energy group, the Locomotora Energetica. We have achieved the greatest reduction in the level of CO2 during the manufacture of tissue paper. 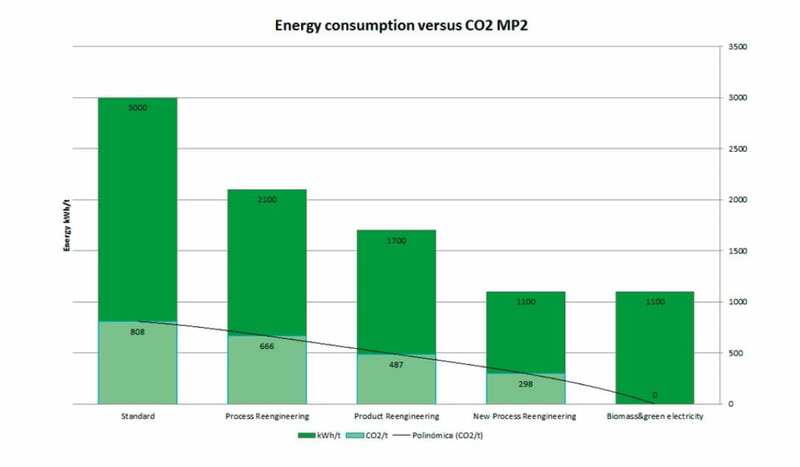 PM2 now uses 100% pulp or 50% recovered postconsumer paper, but in its manufacture, it only uses 300kWh/t of steam and 800kWh/t in electricity. In June 2017, we started a new biomass boiler for the production of steam with wood chips and in July, the electricity purchased will be 100% Green certificated. Above: Climate footprint by area for TAD, standard tissue and OnePly products. The development project for the OnePly technology received funding from the European Union’s Horizon 2020 research and innovation programme under grant agreement No. 757004. Share the post "New OnePly product that “easily competes with TAD and NTT”"